PM sent to all who have shown interest. I've completed the PCB design for the solenoid driver. This board can be used with the AimTrak to drive any 24VDC solenoid, not just the Namco solenoid. This circuit is a bit different from my initial posting. There is absolutely nothing wrong with the first and much simpler version of this that I posted. However for the kit, I've designed it as an opto-isolated circuit for greater isolation of the driver circuit from the AimTrak. I realize this is entirely overkill. - A 9Pos .100 connector with connections for the solenoid coil, 24VDC+/- with pass through of the AimTrak connections Ground, P1, Aux and Trigger. I decided to do the pass through on the AimTrak lines of Ground, P1, Aux and Trigger to make it easier connecting to external switches. Doing this affords me the capability of using 20-24AWG wire as the AimTrak connector uses a very light gauge wire that is a bit tricky to use with quick disconnects. - A 5Pos 2.00mm connector that will directly connect (with harness of course) to the AimTrak's P1 1.25mm connector. In the event the coil you are using does not have the kick-back diode in-line with the connector (like the Namco does), I've included a placeholder on the PCB for installation of that diode. I think this is a cool project. However, how about covering more bases? For example, T2 guns use a solenoid that has a variable fire rate, that the game controls. Howard C. makes a program "Mamehooker" that works with mame, and passes all the force-feedback data from mame, to any FFB device. I think a LOT of people would Love to have correct FFB in T2, myself included. But you just cant simply have an auto-fire option.. It has to be linked to the actual games output. 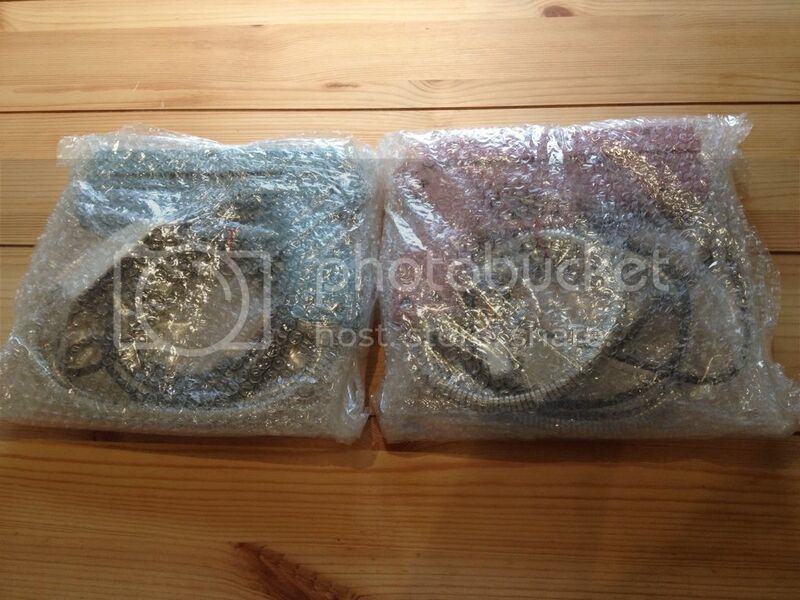 There are also many other game which have FFB coils, such as Qbert, Road Riot. And games like Outrun, which power on the awesome Shaker motor. As well as the possibility of making a true motion cockpit game (they run on worm gears and motors). Good powerful Force feedback wheel control is another option that is lacking too. Finally, I have already spent good money on the LCD Topguns. Id prefer not to buy more guns... nor to be locked down on the FFB device... should even better guns come out. 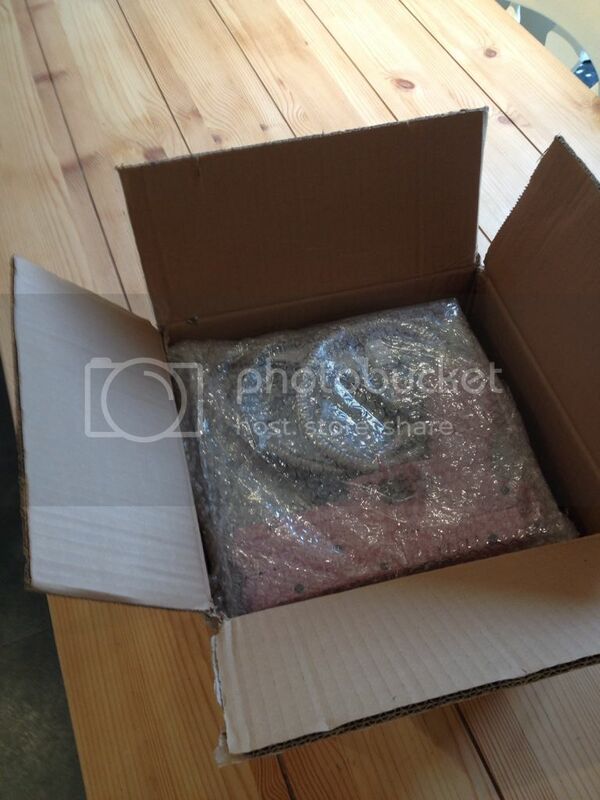 (which has happened several times already) A universal FFB driver kit would be much more optimal in such a case. Another great option for FFB, and probably a big seller, would be for virtual Pinball tables. You could power 2 real flipper coils, a couple of kicker/pop bumper coils, and maybe some effect lights (flasher bulbs). The vibration effect of real coils would make the tables feel more realistic. The ability to control a bunch of coils, motors, and lights, could lead to actual physical prototype table creation too... but that may be going too far for your intended market. Thanks and I agree. I kept this project specific to the AimTrak and what would fit inside the gun case, however I do have some other design considerations for the stuff you've outlined. I need to do a little more digging into what would make sense for a reasonable FFB kit type project. I just saw this post and would love to discuss perhaps getting a gun? could you please IM me with some pricing estimates? would be great. Solenoid Driver/Interconnect Boards came in today... I stuffed one real quick to give you all a sample. I've included my first proto board in the photo. I'm super interested in this project. Time to find a Namco gun. 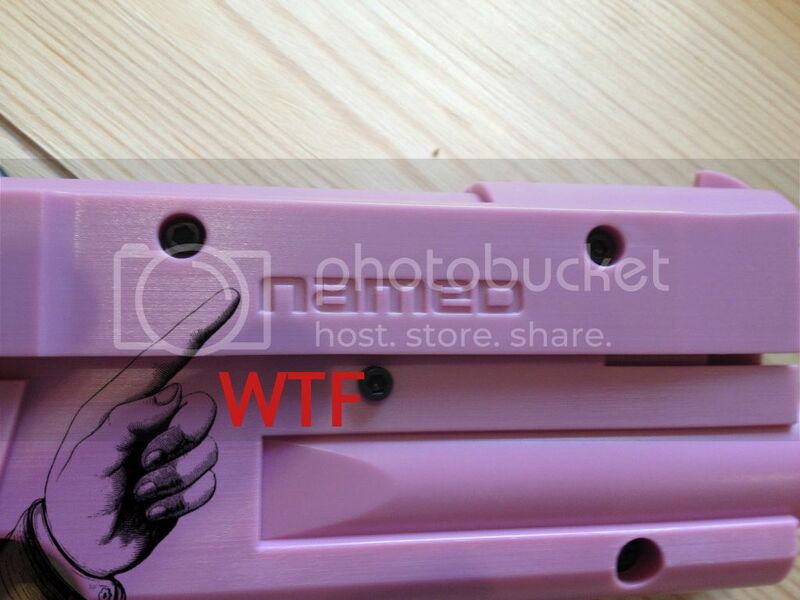 I ordered 2 from arcadespareparts.com not arrived yet bu they have assured me the quality is second to non. Quick update... I'm waiting on a couple of things. I needed to make a change to the camera mount so I need that to come in and I am still waiting on USB connectors...then I can start building these up. I've not forgot... its just taking a little longer than I expected. don't worry take your time on designing and building this, i am sure will all appreciate the effort you are putting into this . Yes agreed no need to rush, I would rather have a perfect product than the first version to have issues that then see many revisions to follow to fix it. Your doing great work mate hope you get a lot more interest as I think this is a great addition to any cab. 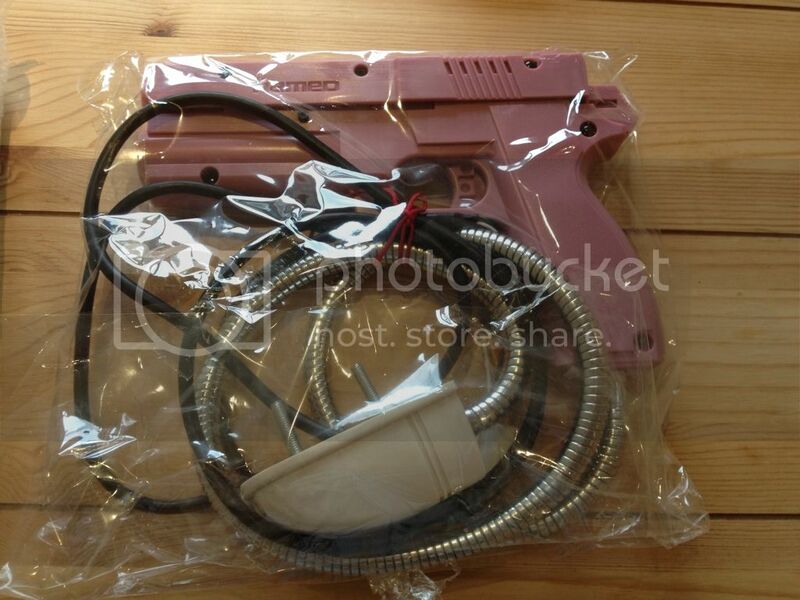 - UPDATE - My Namco guns from arcade spare parts have arrived in the Uk but are being held till I arrange the payment of the £45 import tax, if anyone is interested I could post pics of the quality of these guns? Let me know. Great. I'm going to be building up the kits towards the end of July. Each of these kits includes 3 feet/(914mm) of conduit with the USB and power lines extending 1 foot/(304mm) beyond the end of the conduit. If you need more that... please specify as its an additional $2.00 per foot/(304mm). hello, left a pm about a couple of boards. I have not received any PMs recently. I would like to purchase one of your Namco Recoil Gun Aimtrak conversion PCBs. I would also like the little custom piece for mounting the Camera. Any chance your device could modified to receive an output from MAMEHOOKER to have authentic recoil feedback? Perhaps the AimTrak PCB itself could sense this from MAMEHOOKER and then pulse on its pins? Hi retro I am sure we are all still interested, probably best to keep a mailing list of us. Whats the current status on the kits? Well considering I paid a small fortune and was assured that I was recieving genuine Namco replacement guns I am very dissapointed that the guns actually say Named rather than Namco. The truth is they may actually be top notch quality but not use the officially licenced name as they may not have Namco's aproval. They certainly look nice enough and feel very sturdy and like the Namco guns. Yeah... I have a list. At this point I am sold out. You are on the list. Please hang in there... I've not dropped the ball... my free time is ultra slim. I'd be pretty surprised if they weren't made by the same manufacturer that produces the Namco gun. Pretty typical Chinese manufacturer "one for you Namco and one for me" type tactic... lets change the name to Named and we are good to pirate the product! I'd be interested in one of these, if you're still doing this project. Still here still doing this... Thanks for everyone's patience. At this point they are all spoken for... I have 2 I'm keeping for myself ... however I might end up selling them and if I do I'll let you know. Ah ok. Well yeah, if you do please let me know, or if more people registered interest would you maybe do another run? I think most of it is way beyond my technical skill level, so would probably be most interested in a complete gun. Think you guys are spot on as the quality feels very good as far as I can tell. I'm interested in the whole thing, still doing this? If so, do you have any camera mounts left? My free time is very limited in the summer due to work demands. Sorry about the delay folks. 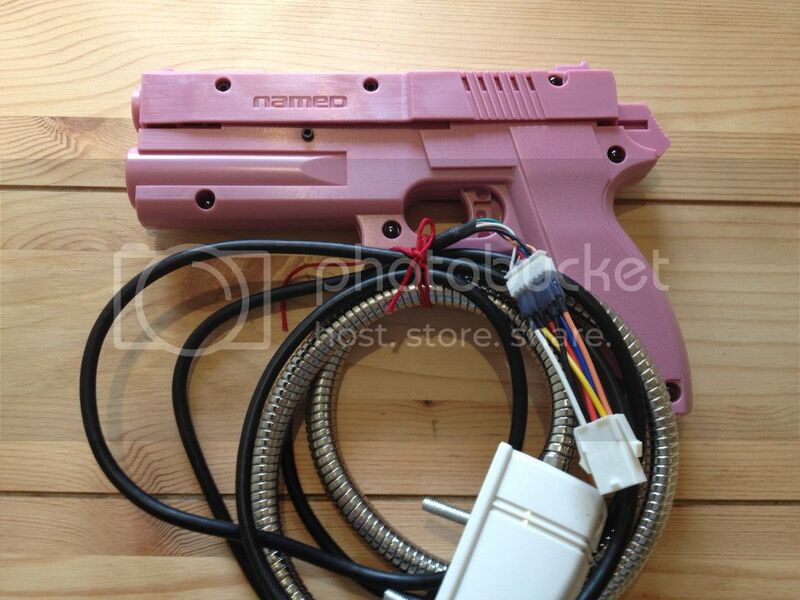 I'm looking to extend the gun hose that is on an original namco gun. looks like it's from a shower... anyways... it's WAY too short. What can I use? I tried to seperate the hose from the fitting and look for something in the diy store but I couldn't remove the fitting. It seems to be held with too little screws but getting them out did nothing. Any ideas? There are different versions of the hose... got a pic? It's the same as Mark Thomas. Sure... I've not seen that type in person. There may be a split pin in there or something that needs to be punched out. Detailed pic would help figure that out. 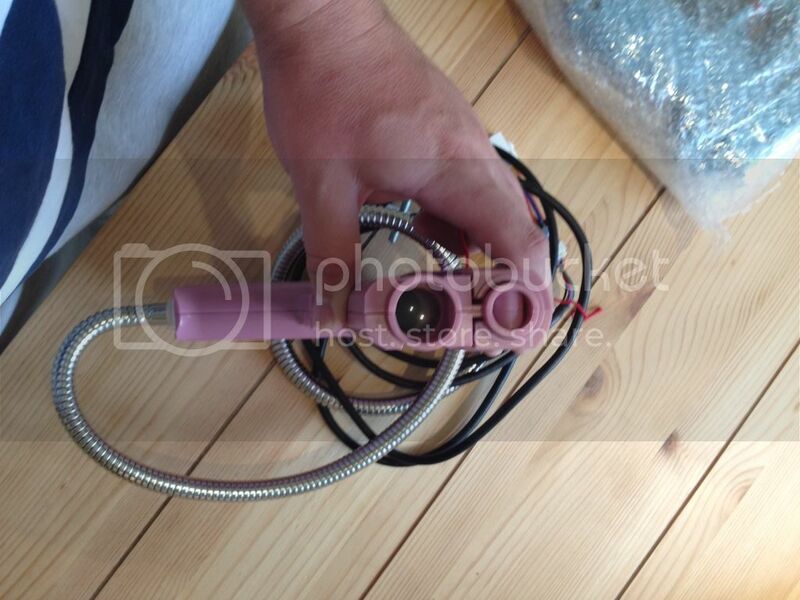 Marks photos don't show the hose mount up close and removed from the plastics. I have a replacement... Not sure if you are interested. It's black plastic conduit. btw... do you know about any good replacement for the solenoid that's not $120!? these work great, you just need to cut the shaft to length and cut a slot for the e-clip. Use the spring that comes with the gun and washers to fit since the solenoid is smaller than the one in the gun. Page created in 0.239 seconds with 61 queries.